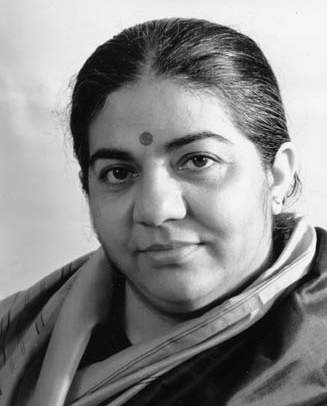 Winner of the alternative Nobel Peace Prize in 1993 (the Right Livelihood Award) and named by AsiaWeek as one of the top five most important people in Asia in 2001,Vandana Shiva is a dynamic, provocative thinker and commentator on the environment, women?s issues, and international affairs. She is the author of over three hundred papers in leading journals and numerous books, including Biopiracy: The Plunder of Nature and Knowledge and Stolen Harvest: The Hijacking of the Global Food Supply. Dr. Shiva is a founding board member of the International Forum on Globalization and the founder of Navdanya International, a science and policy research center based in India. ?Shiva is a burst of creative energy, an intellectual power? ?People ask me: ?How can we protect biodiversity if we are to meet growing human needs?? My reply is that the only way to meet growing human needs is to protect biodiversity, because unless we are looking after the earthworms and the birds and the butterflies we are not going to be able to look after people either. This idea that somehow the human species can only meet its needs by wiping out all other species is a wrong assumption: it is based on not seeing how the web of life connects us all, and how much we live in interaction and in interdependence.? ?Globalized industrialized food is not cheap: it is too costly for the Earth, for the farmers, for our health. The Earth can no longer carry the burden of groundwater mining, pesticide pollution, disappearance of species and destabilization of the climate. Farmers can no longer carry the burden of debt, which is inevitable in industrial farming with its high costs of production. It is incapable of producing safe, culturally appropriate, tasty, quality food. And it is incapable of producing enough food for all because it is wasteful of land, water and energy?Industrial agriculture uses ten times more energy than it produces. It is thus ten times less efficient. ?